Datsun has returned to Namibia, bringing the dream of car ownership within reach of the country’s growing middle class. It brings a global heritage and reputation for durable, attractive and trustworthy vehicles with more than 20 million Datsuns that were sold around the world over the course of the 20th century. The brand grew to iconic status up to the 1980s, where it was the No. 1 selling brand in 1976 to 1978. 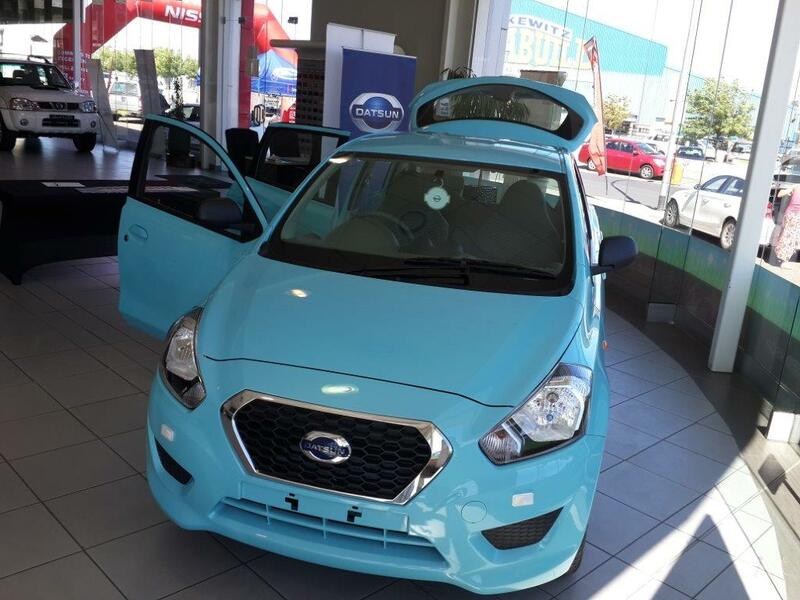 The Datsun GO hatchback was introduced to Namibian on Saturday, 28 November 2015 at the Pupkewitz Nissan Showroom during an open test drive day, allowing potential clients to view and enjoy the full experience. According to Armand Barnard, Dealer Principal of Pupkewitz Nissan, bringing the Datsun Go to Namibia will enhance the company’s competitive edge and its marketing share in the lower A segment. economical vehicle, which fits comfortably with their rapidly changing lifestyle – Datsun Go answers their needs. The price segment is N$115 000, making it a real value proposition for first time new car buyers. Sales and service will be initially established through various Pupkewitz Nissan dealerships in Walvis Bay, Swakopmund, Ondangwa, and Oshakati , which will soon be moderately altered into Pupkewitz Datsun dealerships. Datsun originated in Japan as DAT – GO (the DAT – car) in 1914. The word DAT means ‘lightning-fast’ in Japanese but is also a reference to the first letters of family names of the three financiers who supported the business at the time: Den, Aoyama and Takeuchi. Using the same logic, it was promoted as Durable, Attractive and Trustworthy, or DAT for short. In 1933, Nissan’s founding father Yoshisuke Aikawa took over the business with a vision of “mobility for all”. The introduction of a light-weight, economical yet resilient car to meet the aspirations of young Japanese people in the early 1930s was named the ‘son of DAT’ – Datson – which later changed to Datsun. Local engineering and mass – production made the founder’s dream a reality.